Stars: Voices of Amy Birnbaum, Dan Green, Eric Stuart, Scottie Ray, Wayne Grayson. MPAA rating: PG for scary combat and monster images. 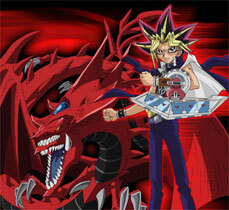 Based on the trading card and television series phenomenon, “Yu-Gi-Oh! 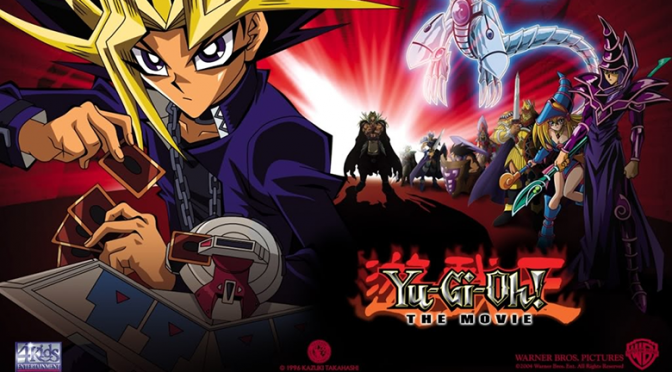 The Movie” is the story of Yugi, a boy captivated by the card game sweeping the nation: Duel Monsters! But there’s more to the game than meets the eye, for it contains ancient mystical energies that can change the course of history! Deep below the sands of Egypt, an old evil has awakened. Anubis, who was defeated centuries ago by Yugi’s mysterious alter ego — the Pharaoh — has returned for revenge to destroy Yugi and take over the world! Can Yugi and friends conquer their most powerful foe yet before the planet is buried in the sands of time? 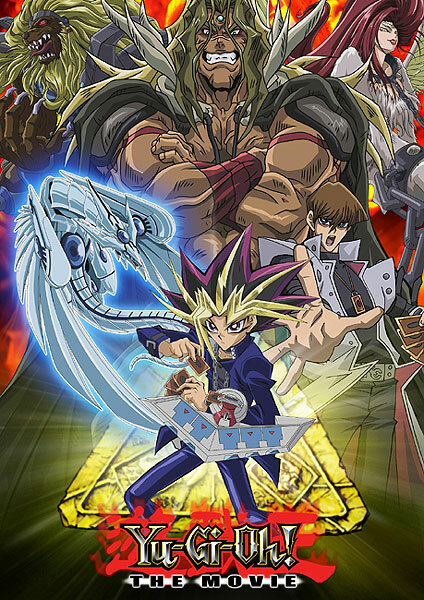 ‘Yu-Gi-Oh!’ stresses marketing ploy over plot. If you’ve been looking for the movie that will make you long for “Pokemon,” look no further. With its lifeless animation, characterless characters, and plotless plot, “Yu-Gi-Oh!” is so flat as to make the card game on which it is based seem positively three-dimensional. No, wait, the movie is based on the Japanese comic book, or manga. So is the card game. So is the TV show. So are the lunchboxes and chewing gum and decals and keychains. Hmm, maybe you’d be better off watching the gum. Actually, maybe you’d be better off going back to the original source. Aficionados swear that the “Yu-Gi-Oh!” manga, created by Kazuki Takahashi, is full of lively drawings, interesting stories, and engaging characters; so, they insist, is the original Japanese TV series that grew out of it. But the ugliness and stupidity of the Americanized versions, especially when blown up to big-screen size, don’t inspire any particular desire to plumb the depths of Yugi’s world. As seen here, that world is one of clunky animation, ugly but uninteresting monsters, and a confusingly half-baked effort to create an overarching mythology that freely mixes elements of Greek, Egyptian, Japanese, and American culture. The mythmaking is just about the only interesting thing to think about — certainly more interesting than the plot, which consists of “duels” in which Yugi and his rival, Seto Kaiba, battle by flashing cards at each other — but here it’s so muddled and slipshod as to defy real thought. Whatever coherence the original sources may have had, in this movie, “Yu-Gi-Oh!” has been stripped to its all-American essence: a marketing platform.